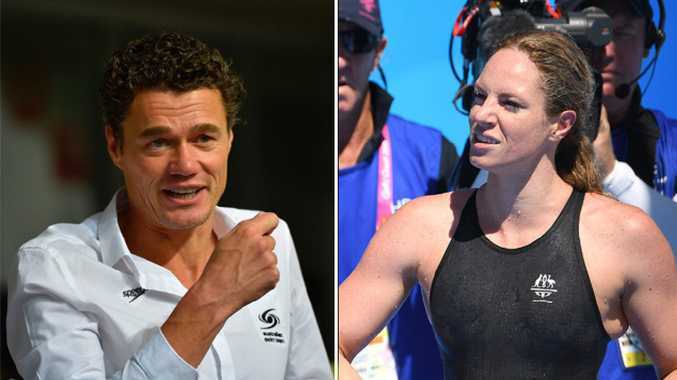 Swimming Australia head coach Jacco Verhaeren has some advice from Emily Seebohm. 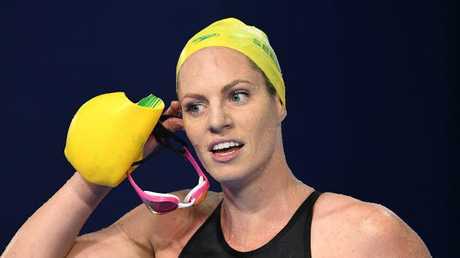 SWIMMING Australia head coach Jacco Verhaeren says world champion backstroker Emily Seebohm needs to cocoon herself from media coverage during major meets if she can't handle how she is being covered. Verhaeren dismissed suggestions by Seebohm that media "downgraded" her silver medal-winning achievements in the pool. The 25-year-old finished second to outstanding Canadian world record-holder Kylie Masse in the 100m backstroke on Saturday night, going within a whisker of upsetting the world champion in a thrilling race. 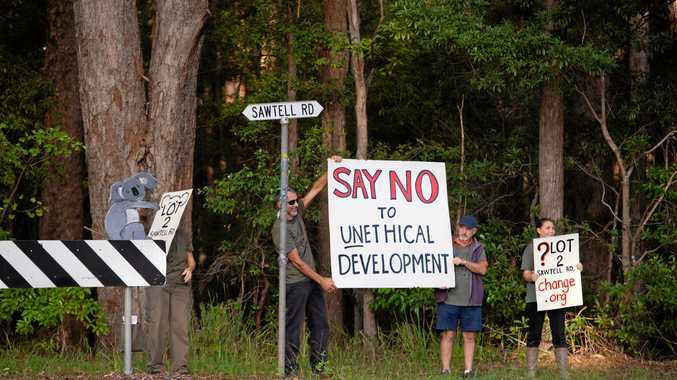 She then complained on social media that her efforts had not been appreciated. "I felt happy with it but I felt media-wise it was a bigger deal that I didn't get hold, that it wasn't an achievement to win silver," Seebohm said. But Verhaeren said he was not concerned about her mindset. "I don't think that whatever you guys broadcast or write down should affect any performance," he told the gathered media. "I think, if you can't handle that, stop reading newspapers." Seebohm knows spending time online can be like going down the rabbit hole, having lamented her late-night use of social media at the London Olympics in 2012 after finishing behind American champion Missy Franklin. Australia has not placed a ban on the use of social media at these Games, with Verhaeren saying his team was well versed in the risk of too much use. 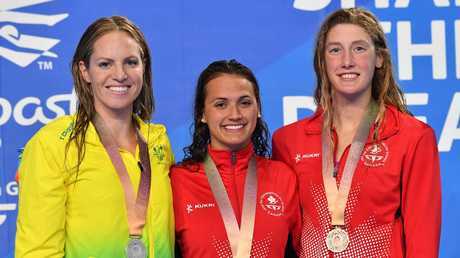 Silver medalist Emily Seebohm (from left) with gold medalist Kylie Masse and bronze medalist Taylor Ruck, both of Canada, after the 100m backstroke final. "We talk to the team and the athletes quite a bit about how to prepare for meets and (pouring over media coverage) this is the same as being on social media, or general media. "If you can't deal with it, stay out of it." While two nights of the swimming remaining, Verhaeren has been pleased with the Aussies' performance so far and highlighted the efforts of the young 4x200m relay squad as the team looks ahead to the Tokyo Olympics in 2020. "At the moment I think it's our strongest men's relay with definitely a lot of potential and a lot of depth in there," he said. "At the moment we have three people swimming 1:45 individually and a bunch of 1:46s behind that. 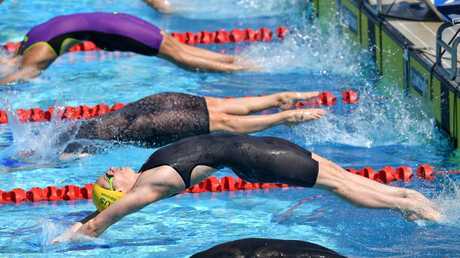 Emily Seebohm in action during the women’s 50m backstroke heats at the Commonwealth Games. "That is what you need to get very close to or under seven minutes and that is the aim." Among those swimmers was 17-year-old Elijah Winnington, who Verhaeren singled out as one of the stars to have emerged from this meet so far. "It's what we want to see two years out from the Olympics, people on the rise," he said. "He certainly is. He played a massive role (on Sunday) in the relay and showed his value in the morning in the time trials. "Overall, I'm impressed with the team and how we perform but also how they present themselves. "Our aim was to do Australia proud and I think we're doing that at the moment."